Welcome back to another edition of Three Money Methods Traffic Tuesdays! I am your host Jonathan Kraft and here to talk with you today about Title Tags, Keyword Tags and Meta-Description Tags. So initially, back in 1996 and 1998, they started creating ways to organize websites. To actually be able to access the websites and know what they were about, they created these things called Title Tags, Keyword Tags and Meta-Description Tags. Let’s just do a search on Google for … “make money online.” It’s a very common, popular term and gets a lot of searches. So here we see a few different things on Google. I’ve sized down my screen so this is really big. You see on one side we have the sponsored links and also up top here we have the sponsored links. “Make money online;” “make money online fast;” “make money online.” These in the orange are sponsored links and these on the right-hand side are also sponsored links. That means that someone has paid for those links. But then, if we scroll down here, we have “makemoneyforbeginners.blogspot.com;” we have “entrepreneurs.about.com;” we have “moneymakers.blogspot.com;” we have “team-schuman;” “forbes;” “financial planning;” “Carlo Cab.” I have been on Carlo Cab’s website before and I know he’s got some really cool stuff on here so I’m sure that he’s done a good job with his description tag, his title tag and his keywords tags. And you then see underneath there he’s got a meta tag and the content is “make money online;” “make money from home;” “make money at home;” “blogging;” “make money blogging;” “internet marketing.” He has very good keyworded description, title and keywords tags. So those three tags look like this: if you were looking at a webpage from scratch, here’s what you would see: html and /html (end html). You don’t really need to know all of this stuff either, because if you’re using WordPress or Movable Type or some other Content Management System (CMS), they handle a lot of this stuff for you. But you can use what you’re learning here to make sure that it’s actually being handled correctly. You do have to learn a little bit in order to have the kind of success that you want to have online, but you can use the tools; you just need to double-check to make sure that its doing what you want it to do for you. So this is what a basic structure of what a website would look like: you have turn on HTML, turn off HTML. You have a header which carries all kinds of description stuff, information about a website, you have a /header and start the body, which is what you actually see on the webpage, and then /body. Inside of the header tag, you have title and /title. You also have meta, content=”whatever” and / that. With meta tag in the header you don’t have to go /meta. So if you were going to build a page about “make money online” it would probably be a really good idea to make the title of your page “Make Money Online.” Probably a really good idea in the description is to say something about “making money online is relatively simple.” Keep it short here. “Learn to make money online.” The keywords=”make money online; money online revenue;” whatever your page is about. So here’s what I want to go back to Google and show you; you go back over here and we’re going to leave Carl Ocab’s website here. Go back to our Google search for “make money online.” See how this says right here in the title tag: “Make money online. Make money at home with a 13-year-old.” Well, what does that look like? It IS the exact same thing as Carl’s title tag. “Make money online” <break> ‘Make money at home with a 13-year-old.” That is what actually shows up in the search results, the title tag to try and bring people back to your website. Now if we go “discover how a 13-year-old made money online.” “Make money online topics include Blogging, Internet Marketing, AdSense and a lot more.” What does that look like? Well, if we go in here, we can see in the description “Discover how a 13-year-old made money online.” ”Make money online topics include Blogging, Internet Marketing, AdSense and a lot more.” It’s the exact same thing! The thing that shows up in the search engine optimized results to bring people to your website is the meta description and the title tag. So you want to make sure your title tag and your description tag really help people to want to come to your website. You’ve got to do a really good job of writing description tags and title tags that make people want to come to your website. Sometimes I’ll use a word like “What — I can make money online?” You might be more interested in coming to a website if it actually has some appeal to you. If you’re reading along through the search results and you’re like, “Make Money Online;” “Making Money Online;” “What — I can make Money online?” If that showed up in the Top 10 search results here, wouldn’t that stand out a little bit more? Possibly; it might make you want to click and come to that website. Now there’s a whole art to getting to the top of the search results; but one of the things that it includes is writing really good title and description tags. The keyword tag is not used so much anymore; but I still put it on the page just because I think it’s good to have on there. But what started happening is that people figured out that they could get ranked for things like “Brittany Spears Naked” and stuff like that that people are looking for a lot! Even though their page was about mortgages, they decided to put “Brittany Spears” and “Paris Hilton.” Back in early 2000, 2001 and 2002, if you think about really popular search terms around that timeframe, people were actually putting those in the keywords tag and they were getting traffic for that even though their website had nothing to do with that. Well, Google now ranks websites on about 200 factors. So you can’t just keywords stuff into your keywords tag here and hope that you’re going to get results. They don’t use this keywords tag so much anymore; but I still think it’s a good thing to have. Now I want to show you both inside Movable Type and WordPress, they have it setup so that you can automatically put this stuff in there. There’s a plug-in for WordPress called the All in One SEO Pack plug-in that you can download and put into your WordPress installation and I’ll show you what that looks like on our GreenJoyment site. So if I’m logged into my GreenJoyment store here and I create a new post using WordPress and I scroll down the page here, I have a space for an excerpt which could also become my description; but I also have the All in one SEP pack down here at the bottom. And you can see I can write a title tag, a description tag and a keywords tag for this post. Those tags actually show up on the different posts that I’m writing. I want to make sure that the title tag I write matches the actual content of whatever I’ve written in WordPress to actually help to try and get that ranking for whatever it is I’m talking about. Writing a really good and very interesting title tag will actually help to bring people to the website and also will let Google know that yes, in fact I am talking about GreenJoyment; we might be talking about inverters or something or how to make your own solar panel. And so if I’m talking in the content about how to build your own solar panels, I’m going to be talking in the title tag about “how to build your own solar panels.” Then the description would be “build your own solar panels … Three Simple Steps.” You want to make sure that what it’s actually about comes first in your description and your title tag. I’ll show you the same thing inside of our Movable Type installation. These are just different Content Management Systems (CMS). I think we’ve talked already about Content Management and why you should be using some sort of Content Management System. This is for my Strive4Impact site and I have an excerpt, keywords and a tags title done in here. Well the excerpt becomes the description inside of Movable Type and the keywords become the keywords tag. But you want to make sure you’re writing a keywords tag, a description tag and a title tag that actually match the content of your post and bring people back to your website for what it is that you’re actually talking about. That will help you get placed well in Google and other search engines for the things that people are looking for. We’re going to talk later in another video about how to find out what people are looking for so that you can actually talk about those things! But it’s really important to know when you’re writing posts and when you’re building web pages, you really need to pay attention to the description tag, the title tag and than also, to a lesser degree, the keywords tag. Hopefully that makes sense. If you just go and look at your webpage, just look and see, do you have a title tag, a description tag and a keywords tag? If you don’t, either hire a programmer or learn how to do it yourself, but make sure those things are showing up in your posts so that you can actually start getting search ranked for the things that people are looking for and for the things that you’re talking about. Like I said, we’re going to do another video about how to find out what people are actually looking for so you can talk about it. But your homework out of this video is to go and find out, do you have these things on your web pages; and if not, get them on there as quickly as possible because this will help you to get traffic from search engines automatically and at no cost to you! Thank you for watching the Three Money Methods Traffic Tuesday! Stay tuned, we’ve got more great videos coming and more great training to learn how to make money online and build a business that let’s you live the life of your dreams! Welcome back to another edition of Three Money Methods Traffic Tuesdays! This is Jonathan Kraft and today I want to talk about finding out what people are looking for so that you can target your content to the actual words that they’re looking for. One of my favorite, favorite, favorite tools for doing this is Google Trends. If you’re not familiar with Google Trends, you really, really have to go check it out. It’s basically tracking what people are looking for on the internet right now. So for today for example, some of the most interesting things people are looking for… “Today’s Hot Trends in the United States” are Jennifer Tisdale – whoever that is; Watkins Glen Weather; Patrick Kane Arrested; David Morgan Whips; Ohio Unemployment; Hall of Fame Game 2009; DC United versus Real Madrid, which is soccer; and What Happened to Forrest Griffin? So these are very popular topics for today — things that people are looking for. Well I did a search, you can see up here for the term “going green.” I’m going to move down the page just a little bit here so you can actually see this. This is the Search Volume Index; it’s clearly a rising market and people are definitely becoming much more interested in going green over time. Starting off in 2005 when Google Trends started, there really wasn’t much interest in going green; but it really peaks here … starts to peak and it gives you some news information about what might have caused that peak; it just shows news related to that. Let’s use another example, “mobile phone;” we’ll search the trends here. “Mobile phone” actually appears to be sort of a declining market here a little bit. It just gives you an idea to see what people are looking for – which is great! Now let’s compare this to something in the same arena, “SMS” for example. “SMS” is like four times the amount of search volume! Does that mean you’ll be able to market more? Maybe, maybe not. But if you have a website about calling cards, cell phones, mobile phones and SMS text messaging, you might want to talk about “SMS” instead of “cell phones” and “mobile phones” on a more regular basis. Let’s add one more term in here, let’s try “text messaging” and click “Search Trends.” “Text messaging” is in green; “text messaging” doesn’t even really show up on the chart! It’s a very, very minimal market. So your better bet, if you want to capture a market, instead of “text messaging” would be to talk about “SMS.” Maybe you didn’t know that before. Use terms from your market. Is it better to talk about “poodles” or “labradors?” If you’re in the dog market, which one is searched more? Well, it turns out that “poodles” are searched more, at least in 2005-2006, than “labradors.” But look, they actually get closer in 2008-2009; “labradors” are getting more popular, “poodles” getting less popular. Dogs overall are becoming a less popular overall search term. So you can get an idea here of different markets; it’s just a great way to actually look for what people are looking for. Two other tools I’m going to show you today: one is the Google Adwords Free Search for what people are looking for. There are links to these tools right below the video here. But you can see this is Google Adwords Keyword Tool, you can type in descriptive words or phrases and it will give you terms that are relevant to those terms that you’re looking for. So sticking with our labrador example, let’s type in “labrador” and use synonyms. You can also filter your results; you can have them not show ideas for new keywords; you can have them include adult content, by default it’s excluded. So we’ll just go ahead and click “Get Keyword Ideas” and Google is going to go out and look through its Search Index to find out what are the most popular terms. Well, turned out “labrador retriever” is not as popular as “labrador;” but “labrador retriever” is more popular than “labrador puppies.” You can tell by the search volume here. This is the search volume for June and then there are approximated search volumes. So if you’re going to have a website about “labradors,” you want to use the term “labrador retriever” more often than “labrador puppies.” You want to use the term “labrador retriever” more often than “labrador dogs” because this is what people are looking for more often. You can also use this to buy Adwords and ads. But I’m really just talking about creating content using the terms that people are looking for. There’s a link to this right below the video here; if you’re on Three Money Methods, you can actually just link right to this tool. You also want to talk about “yellow labradors” but you want to talk about “labrador retrievers” more often. The other tool that I want to show you today is the Wordtracker Free Keyword Tool so we’ll go ahead and go to that. Again, if you’re watching this on the Three Money Methods site there is a link to this right below the video. This is a website called Wordtracker. Wordtracker is a great product that you can buy and have on a monthly basis and get all kinds of great stuff just actually about keywords and understanding what people are actually looking for. However, if you aren’t ready to pay for it yet, they also have a free sample of how their service works. This gives you an idea to talk about these things more often. This is the order in which you want to talk about these items on your website if you want to achieve the maximum level of traffic. So we learned from our other search that “going green” was not as popular as “go green.” So let’s type in “go green” here and we’ll click “Hit Me” and see what keywords we get here. “Go Green” is definitely, by far, the most popular here. Then we have “ways to go green;” “why go green;” “go green in your home;” “go green and save money;” “how to go green.” Those are the top five things, six things that I’m going to be talking about, really five things. I’m going to use “ways to go green” in a lot of posts; I’m going to use “why to go green” in a lot of content that I create; “go green in your home.” I want to use those keyword terms most often because that’s what people are looking for. You can get an idea also, let’s type in “going green” and see what other kinds of things we get. Anyway, here’s the thing, you’re going to get a really good idea of what you should be talking about on your website from this kind of a search. If you’re looking at this on the Three Money Methods website, we’ve linked to these tools right below the video. If you’re not, you can do a Google search or if you want an easy way to access these tools, just come to Three Money Methods and join us at ThreeMoneyMethods.com – yes, you will need to put in your name and email address in order to join our community but we’ll give you all kinds of great tools, tips and tricks about how to actually run a business, a successful business online. You’ll have to put your name in there. 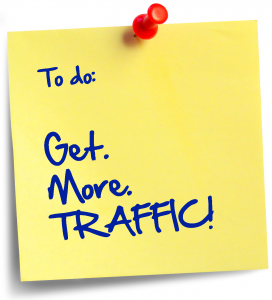 We’ll look forward to seeing you then in the next Three Money Methods Traffic Tuesdays. We’ve got some great stuff coming up next week ! Hope you’re doing well and please leave your comments below the video if you have any thoughts or any additional things that we should have included in this video. So we’re going to go through these one by one. I want to show you some different examples of file names. We’ll just start with file names. So we’re in Google here and we’re going to do a search for something really obscure … I don’t know, something like underwater basket weaving (That’s funny, Underwater Phantaseas is where we’re doing our scuba diving training!). Let’s try this and see what we get. Alright, so we have “Underwater Basket Weaving” at Wikipedia, of course; Wikipedia comes up very well. We have “Underwater Basket Weaving tips” at Blogspot.com. We also have image results and this is going to be very important in just a minute. I’m going to go ahead and open these pages from Wikipedia and the page from Basket Weaving Tips. I want to show you a couple of things. In the actual name of this page, it has “Underwater_basket_weaving.” All three of those words are actually in the title and in the actual name of the page: underwater_basket_weaving. If you want to get ranked for some term, it’s important that your page title which you actually name the HTML of your title of your page, actually says what it is you are talking about. Here’s another example; we have “basketweavingtips.blogspot.com” followed by “underwater-basket-weaving-ever-wanted.html”. “Underwater Basket Weaving — Ever Wanted To Try It?” They got to number 3 behind Wikipedia and the Urban Dictionary! And you’ll notice also here in the title they have “underwater%20basket%20weaving.” That’s the page name for that. One of the ways to get ranked in a search engine is to make sure that when you are naming pages with an HTML file, that you actually name them with the actual terms of what you’re looking for. Let’s say you’re inside of WordPress; we’re inside of WordPress for our web site Green Joyment for the store here and let’s say I want to go ahead and Add a New Post. I wanted to add a post about “Build Your Own Wind Generator.” Now I have GreenJoyment.com/store/build-your-own-wind-generator. That’s great! That’s a great keyworded title. If I wanted to change it though and actually change the page name so that it didn’t match what my text was in here, I could do that. There are some times you’ll want to do that and sometimes you don’t. You’ll just kind of have to go and say, well, is my title relatively keyworded to what I’m saying? Because sometimes you might be talking in your article about building your own wind generator, but you might want to write a title that’s like, “People said I couldn’t do it!” Or something like that; maybe that’s what you want the title of the article to be, but it’s actually about building your own wind generator. So you want to make sure that the actual file name is actually something that is going to get you traffic for what you are trying to get ranked for and not just something cute. If you’re going for a cute title or a fun title or something like that, “they said I couldn’t do it;” you want to make sure even if you do that, the page name (the actual file name) is something that’s relevant to whatever it is that you’re talking about. That’s one of our topics for today. Moving into the next topic, we’re talking about anchor text. We’re actually going to talk about file names too because let’s say now that I actually was talking about wind generators and I wanted to have a picture in this about wind generators. Well, what I’ve done here is a Google search for wind generators. I’m going to do an image search for wind generators. Now one way that people actually come up for this search result in Google Images, and this can be a good way to bring traffic to your site, is by keywording your images correctly. We’ve got Wind Turbines here, if I click on this image, you can see here in the title or in the actual file name its “wind-turbine.jpg.” I do not think you should take other people’s images! However, if you find an image source that is “open source” and you actually want to use it in something and it’s something you can use, you’re allowed to use – let’s go ahead and save this image as; we’ve save this image somewhere on my computer, we’ll just put it into the right folder here. So I’m in my GreenJoyment folder and I’m going to click “images” and this is called “wind-turbine.” I think I already have one in here … nope; I don’t have one in here called wind-turbine. So I’m going to save this as “wind-turbine” or maybe even “unique-wind-turbine” or whatever. Again, don’t steal other people’s images! But if you have a source where you can get free images, we’ll probably do a video on that at some point in the future where you can get actual free images. If people are interested in that, please comment below and let me know and I can do a video about how to get free images. I’m going to go into my entry here and I can add an image using WordPress, you know how to do this I’m sure if you’re using WordPress. I’m going to go ahead and upload this from my computer, “Select Files” and I’m going to go to my “unique-wind-turbine.jpg” here. Now I want to go ahead and put this into my post. So I’ll add this image and WordPress gives me all these options, you can’t really see these all that well because my screen has been sized for this video, but I can put it in here wherever I want. There’s a little button down here, you can’t see it, it’s just below where I’m recording, but I can go ahead and just align it to the left and I’m going to enter it into the post. So that has now been inserted into my post and “This is a wind turbine’s inner workings.” I’m going to go ahead and click “Save” here so I can show you this and then we’re going to go ahead and publish it; you can see I clicked the “Publish” button over here on the right inside of WordPress. I’m going to go ahead and view the post. Now here’s the value of having done the things that we did. Number One, we’ve got the caption here, “This is a wind turbine’s inner workings;” so that’s the caption. But if we roll over this, we have “unique-wind-turbine” is the Alt Text. So now if I go into my post here, I can click on the image and I can change out the image title. When I change this title, what it’s going to do is change what is called an “alt tag.” The “alt tag” stands for “alternate” or “alternate text” and what it does is it helps blind people to actually “see” what’s on your website. It also helps search engines to “see” what the image is about. So what you can do when you write a description is write a keyword-rich description that relates to whatever you’ve written about and that alt tag will actually help to get you search placement for the things that you are trying to get placed for. So, “Wind Turbine Inner Workings” and make you spell these right and get all the words in there because you’re really wanting to get listed for those. But if someone is Googling “wind turbine inner workings,” I’m much more likely now to come up for this. I’m going to go ahead and update this and now, if I go over to my post and “Update Post” now that I’ve changed it. Once that’s done, I’m going to go over to the entry itself. Now if I roll over this right now, the text that pops up is “unique-wind-turbine.” Now that’s pretty good, but if I “refresh” it here, I’ve actually got now, “Wind Turbine Inner Workings” which really describes what this image is, it helps Google to know what it is and then helps blind people coming to my website to be able to access the information much more easily. This is just one little thing that you can do when you put images on your site; edit the alt tags. If we actually look at the page code here, if we go View-Page Source and I just do a search, I can see here that my image has “wind turbine inner workings” and then the alt text – here it is: “This is a wind turbine’s inner workings.” So the title or the alt tag is what shows up when you roll over something to see what it actually is about. Now you can also see that I’ve done this elsewhere within Green Joyment if you roll over any of these other links. I can tell this is going out of your screen a little bit, but you can get the idea here. So when you roll over these different things, it actually tells you what those different things are about. Those small changes that you make on your website actually help you to get search engine ranking. And use something descriptive to talk about it, it helps Google to know what that page is about and it also helps blind people coming to your website, so you have a wider audience of people coming to look for your products and your services. That is how title tags and alt tags work, and how you use title and alt tags on your page. You want to make sure, even if you’re not the one doing it; you want to look at your page source and your code to know if you’re using alt tags in your images and your links. The only other thing I want to talk about for this video … and hopefully you’ve followed all of this; if not, watch the video a couple of times. Sometimes this stuff takes a little bit to get, but I think you’ll understand it after you watch it a couple of times. If not, post questions and give me feedback on how I can improve this. The other thing I want to talk about in this video though is Anchor Text. Anchor Text is where you link to something. It’s the actual text that describes whatever it is you’re linking to. Again, this is called anchor text and what this does is it actually tells Google and also the people who looking at your website what these different things are about; what your different webpages are about. It’s a little bit of extra work, absolutely, to make sure you have good page names and to make sure that you have title tags or alt tags and to make sure that you have good anchor text to describe what you’re linking to. However, if you will do this, it will help; it will help a lot, to get search traffic from Google. By the way, search traffic doesn’t cost you anything and that doesn’t make it better or worse, than Pay per Click traffic; it just means that it’s free! So if you want to get free traffic, this is one of the best ways you can get free traffic: make sure you have good title tags, good alt tags and good description tags as well as file names that actually use keywords to describe what it is that you’re talking about. One more thing, I don’t think this is such a big deal anymore, but for a long time Google said dashes are better than underscores. All other things being equal, dashes will almost always outrank underscores. So if you’re going to use separated page names or separated file names with multiple words in them, I would recommend using dashes instead of using underscores (even though Google is getting better at figuring out the difference between a dash and an underscore). I would make sure I used dashes when describing or using a file name with multiple words in it. Again, I hope this video has not been confusing! It’s probably not as clear-cut as some of the other videos I’ve done. However, you want to make sure to watch it a couple of times to make sure you really understand the stuff, because these four concepts can really help to get a lot of traffic coming through to your website – IF you do a good job with File Names, Anchor Text, & ALT Tags. Thank you very much for taking the time to watch the video! Make sure you come back next Tuesday for the next Traffic Tuesday from Three Money Methods. We’re going to talk about how to find out what people are looking for. This will let you keyword your pages with the actual words that people are looking for in the search engines right now. Make sure you come back next week! Post any comments you have below the video here and look forward to seeing you at the next video from ThreeMoneyMethods.com!